Sweet! 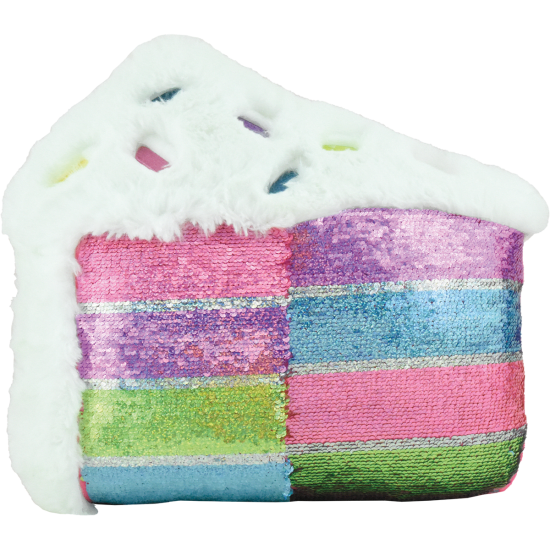 Our slice of cake furry reversible sequin pillow is a dessert lover's dream. It features a furry white frosting decorated with colorful pom pom sprinkles. The cake layers are made up of reversible sequins that flip colors when you run your hand over them. A perfect gift, this pillow is a sweet addition to any room.